What Is the House GOP Compromise DACA Bill? 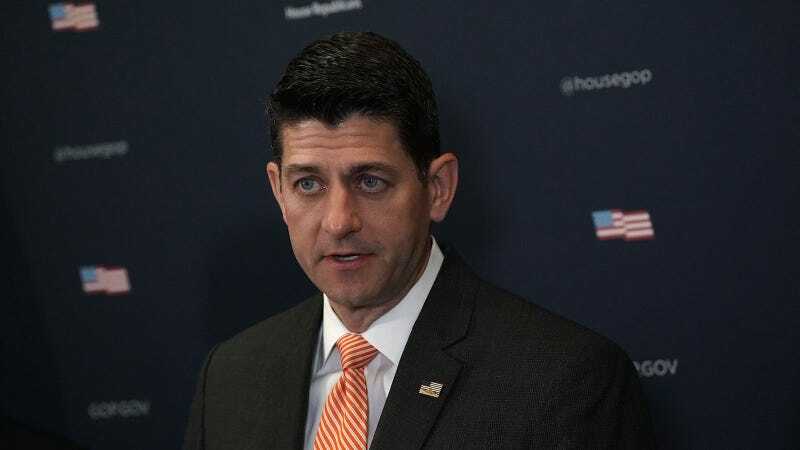 Democrats and the nearly two dozen Republicans who attempted to force a vote on a series of bills that would continue Deferred Action for Childhood Arrival protections—and, in the case of at least two of those bills, offer a pathway to citizenship—have failed to get the signatures required to pull it off, meaning that the mini-rebellion they led against Speaker Paul Ryan is now over, and conservative Republicans are moving forward with their own, extremely fucked up immigration agenda. The bill texts are not available yet, but the compromise bill may attempt to impose restrictions on asylum and require businesses with more than 50 employees to ensure their workers have appropriate documentation allowing them to work. The current “compromise” position in the House, populated as it is by racists, will almost necessarily involve curbs on legal immigration. This is, frankly, a mess, and the ongoing chaos means that undocumented immigrants continue to wait on Congress for some action, while Immigration and Customs Enforcement, with Donald Trump as its champion, is working overtime to profile, detain, deport, and ultimately destroy their communities.